“There are 47 percent of the people who will vote for the president no matter what. All right, there are 47 percent who are with him, who are dependent upon government, who believe that they are victims, who believe the government has a responsibility to care for them, who believe that they are entitled to health care, to food, to housing, to you-name-it. And the government should give it to them. This 0.1% of the population, billionaires, captures the greater part of our publicly-generated land and natural resource rents. Although it’s theft, they seem to believe they are entitled to it. They did not earn it, it is ours – owed equally to each one of us. Get it? We are all entitled, equally, to the land and resource rents of the nation stolen by these billionaires. But billionaires in their most incredibly distorted sense of entitlement believe it’s theirs – theirs alone. Billionaires are unable to see their particular ‘entitlement’ is sick-making–far worse than the so-called ‘entitlement’ of the poor–because their entitlement creates poverty, dispossession and crime – and they are unable to admit to these crimes. 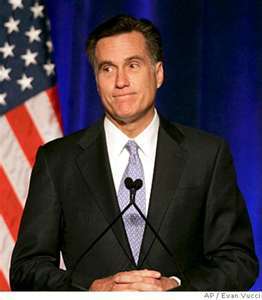 It’s the Mitt Romneys of this world are hopeless. They are parasites. The concept of entitlement is pretty thin; at most it is an accepted belief. There are no inherent entitlements, not to vote, not to land, not to freedom. Just what we allow each other. We allow parasites to develop, both infesting capital and infesting labour. We haven’t yet established an accepted belief in the human entitlement to the bounty of the land. But it’s a worthwhile effort.